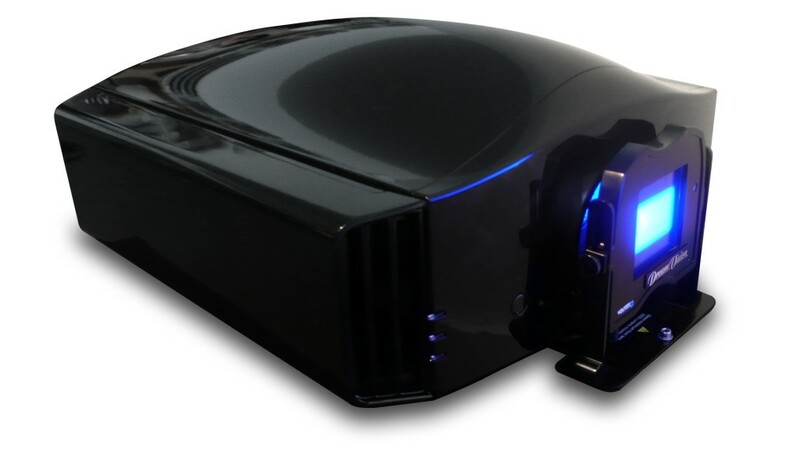 DreamVision BEST projector range comes equipped with the BEST 3D Passive Kit, this new concept of passive 3D creates the 3D effects with an innovating management of the light path and an optimized polarization modulator. The result is an unprecedented optimised projection system, whose performance in 2D is equivalent to the one in 3D. The new BEST projection systems can project at a brightness of 1,100 ANSI lumens in 2D and 3D and they offer a 50% increase in brightness in 3D mode compared to the regular active sets by Dreamvision and 10% more than the precedent model. These new models therefore deliver a brighter picture, more detailed and more pleasing. There is no active shuttering with the Dreamvision BEST system, the perception of the 3D images is smooth and the spectators will feel more comfortable. This drastically reduces the eye strain and avoids the headaches or nauseas that sometimes may be disturbing during an active 3D projection. Easy to setup and straight forward use. Out of the box pre-calibrated for 2D and 3D modes. Light weight glasses, cost effective and with no battery. Highest contrast available on the market. 50% brightness gain over Active 3D. Similar picture quality and brightness in 2D and 3D modes. Single-head 3D passive projection system. Thanks to the native performances of the Siglos+ Series (up to 1,500,000:1 contrast ratio), associated to the exceptionally efficient BEST V kit, the 3D picture quality obtained is incredible. The BEST 3D Passive packs are calibrated to produce vibrant and colorful pictures in both 2D and 3D modes. An expert calibration menu is also available for the most demanding users and features a 7-axis HSL calibration for a faster and easier picture fine tuning. Thanks to the absence of embedded electronics and battery, the 3D passive glasses are ten times lighter than the 3D active glasses. A Clip-On item is also available to the customers who already wear viewing glasses. The 1 gram difference is literally imperceptible. DreamVision introduces a new screen fabric, the Passive 5D screen. Thanks to a special coating, this cloth eliminates the hot spots frequently observed on traditional silver screens and optimises the 3D effects. Put shortly, it is optimised for passive 3D projection as well as 2D projection. Siglos Ultra 1 BEST V 4K Passive 3D Home Cinema Projector – AUD$No longer available. Siglos Ultra 2 BEST V 4K Passive 3D Home Cinema Projector – AUD$No longer available. Siglos Ultra 3 BEST V 4K Passive 3D Home Cinema Projector – AUD$No longer available. 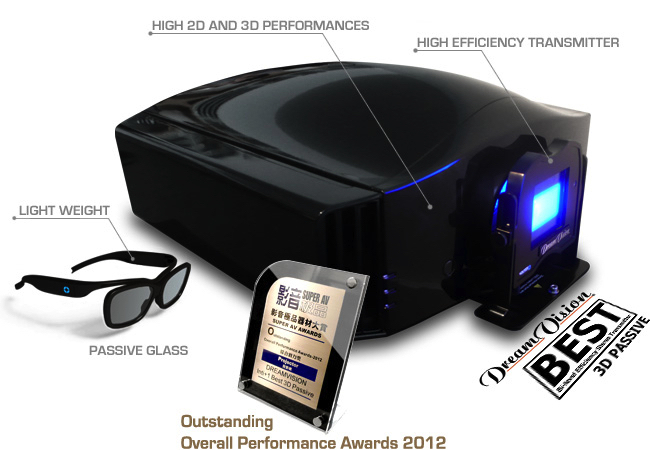 All BEST Passive Projectors are supplied with four pairs of 3D glasses.